NSU will celebrate Constitution Day Sept. 17, 2019. All are welcome to enjoy the free, fun events throughout the week. 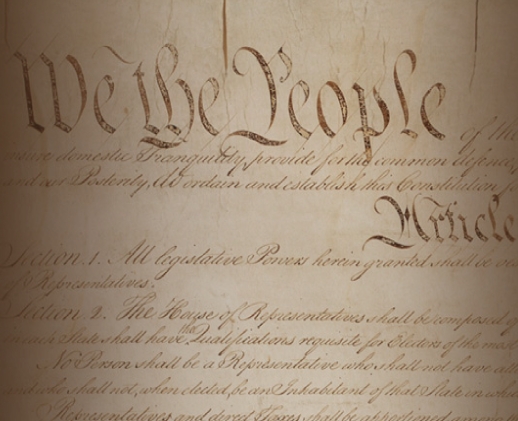 Constitution Day commemorates the Sept. 17, 1787, signing of the United States Constitution. For more information about Constitution Day at NSU, contact Dr. Ric Dias at 605-626-7795 or ric.dias@northern.edu. Interactive Quiz - How will your score measure up? Interactive Constitution - Explore the Constitution! Search by article, amendment or issue. The oldest signer was Ben Franklin, who, at 81, needed help to put his pen to paper. The Constitution has been amended 27 times. George Washington and James Madison were the only two men to sign it who later went on to become president. Delaware was the first state to ratify the Constitution. Rhode Island was the last of the original 13 states to ratify the Constitution. Thirty-nine men signed the Constitution. The first 10 amendments to the Constitution were ratified together in 1791, and are called collectively the Bill of Rights. The youngest person to sign the Constitution, Jonathon Dayton of New Jersey, was just 26. The words “democracy" and "slavery” do not appear in the Constitution. James Madison is often referred to as the Father of the Constitution.